Also a variety of HSV and HDT things. Nice quality sales folder brochure for the 4HSV E3 Series Grange and Senator Signature. Includes VE Series Senator and WM Grange. I have a large selection of advertising material to list from the 1950s to recent. Peugeot used Motor Magazine as the basis of the brochure. Nice 8 page sales brochure for the 306. I have other Peugeot brochures to list later. I have a large selection of advertising material to list from the 1950s to recent. Nice quality brochure for the HSV Maloo R8. Also a variety of HSV and HDT things. I have a large selection of advertising material to list from the 1950s to recent. 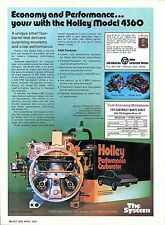 Genuine original GMH Australia brochure. 2 page sales sheet for the VR Club sport 185i and Senator. Also a variety of HSV Clubsport Maloo Grange GTS and GTO and HDT things. Statesman and Caprice VQ VR VS WH WK WL WM WN. Commodore VB VC VH VK VL VN VP VR VS VT VX VY VZ VE VF including SS V8 SV6 Calais Utility Adventra Crewman Cross 8 Monaro Torana. 10 page sales sheet for the VR Club sport and Senator 185i. Also a variety of HSV Clubsport Maloo Grange GTS and GTO and HDT things. HSV Code SV4327. Statesman and Caprice VQ VR VS WH WK WL WM WN. Commodore VB VC VH VK VL VN VP VR VS VT VX VY VZ VE VF including SS V8 SV6 Calais Utility Adventra Crewman Cross 8 Monaro Torana. Nice quality 20 page brochure for the AU Falcon based Fairlane. I have a large selection of advertising material to list from the 1950s to recent. 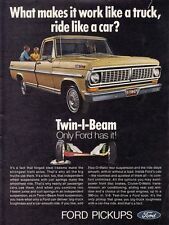 Genuine original Ford Australia sales brochure. 3 page press release from Holden for the HSV modified UBS Jackaroo. Also a variety of HRT HSV and HDT things. I have a large selection of advertising material to list from the 1950s to recent. Includes the press photo. Little 2 page sales flier for the 306 XR XT S16 and Cabriolet. I have other Peugeot brochures to list later. I have a large selection of advertising material to list from the 1950s to recent. It reasonably good condition. Nice 6 page folder for the Limited run CV8R Monaro. Commodore VB VC VH VK VL VN VP VR VS VT VX VY VZ VE VF including SS SV6 Calais Utility Adventra Monaro Crewman Cross 8. I have a large selection of advertising material to list from the 1950s to recent. Big fan of Japan and desire to share this love with anybody in the world! Happy to help you to dig, explore and enjoy Japan deeper and better. ·Condition: New. WE DEAL IN ANTIQUE PRODUCTS WORLD WIDE IN SUCCESSFUL MANNERS. CONDITION IS EXTRA GOOD.SIGN IS DOUBLE SIDED.SIZE IS 62 X 46. RARE COLLECTIBLES SIGN. WE DEAL IN ANTIQUE PRODUCTS WORLD WIDE IN SUCCESSFUL MANNERS. 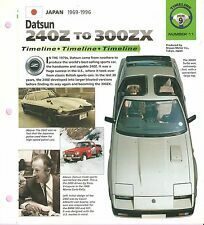 2 page sales flier for the 306 XTDT Australian Specifications. I have other Peugeot brochures to list later. I have a large selection of advertising material to list from the 1950s to recent. It good condition. Nice quality 8 page range brochure for the 2003 2004 era range of HSV cars. Also a variety of HSV and HDT things. I have a large selection of advertising material to list from the 1950s to recent. Glossy brochure 30x21 cm Printed September 2003. Nice little 4 page folder brochure for the Mitsubishi Ralliart Gear. Genuine Mitsubishi Australia brochure. Greg Norman VS Statesman International Leaflet. This is an original Greg Norman VS Statesman International Leaflet. The back talks about the features of the Greg Norman VS Statesman International that only 250 were built. Nice 4 page folder for the Limited run CV8R Monaro. Commodore VB VC VH VK VL VN VP VR VS VT VX VY VZ VE VF including SS SV6 Calais Utility Adventra Monaro Crewman Cross 8. I have a large selection of advertising material to list from the 1950s to recent. Also a variety of HRT HSV and HDT things. Commodore based Limited Edition SV Wagon. 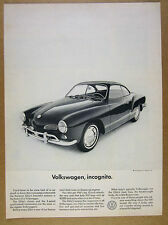 I have a large selection of advertising material to list from the 1950s to recent. Bathurst 1989. Sports Parts. Printed in Australia. Vintage Enamel Porcelain Sign Good Year Tire Advertising Cupboard Strip Display"